Ocoee, FL Ukulele Lessons Near Me | Fun Classes. Top Teachers. Check out some of our most popular teachers near Ocoee, FL including Orlando, Winter Park, Kissimmee, Oviedo and Lake Mary. 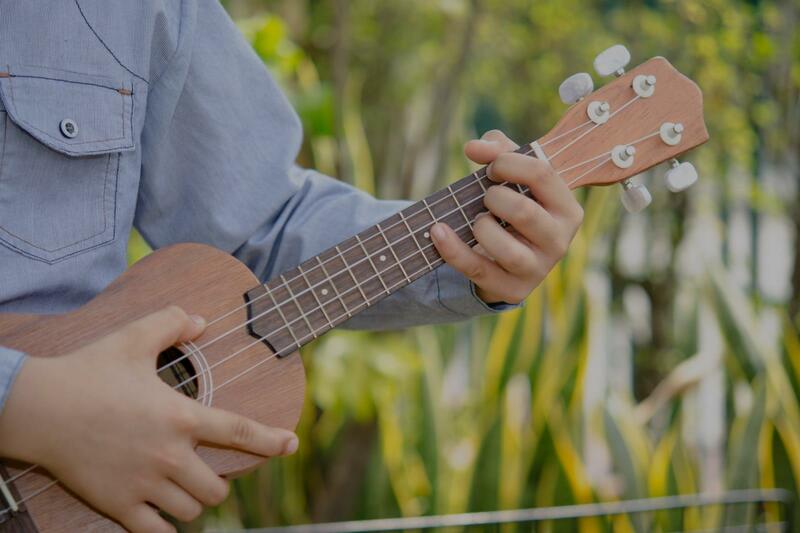 Learn to play the uke by reading the chords, the keys and by reading music notation. Learn rhythm and strumming patterns as well as playing melodies of simple songs. Not only will you learn how to play your favorite songs on ukulele, but I will also teach you how to read music - all in a laid back and casual environment! I've been playing ukulele since 2012 and love to share my love of this happy instrument and my love of music with others. I strive in cozy spaces and work to create a homey and welcoming place for my students. I am a 2014 graduate of the University of Central Florida with a Bachelor of Science degree in Early Childhood Development and Education. I have completed 2 internships, both in 1st grade, then taught Kindergarten in Seminole county Schools for one year and have since discovered my love for teaching in one-on-one situations. I believe that building relationships is an important and integral part of effective teaching, and the learning stems from that. I have a passion for music, and have been playing flute since 2003, piano since 1998, and ukulele since 201.
te, and have received top positions. I have been playing piano since 1998, taken piano lessons for 7 years, and performed in several recitals. Now I mostly play for fun. My favorite piano songs to play are TV, Movie, and Video Game themes! I have taught myself guitar and ukulele and have performed in a few festivals and coffee shops around Orlando. When I was teaching, I often brought my instruments with me to play for my kindergarten class! I write music as well with my twin sister - we enjoy writing electronic/indie/pop music together. I've also enjoyed venturing into the world of graphic design, and since Fall 2015, have been running my own tiny little design business with a few clients here and there. I've taught myself how to use adobe photoshop and illustrator to create social media graphics, logos, flyers, and t-shirt designs. I currently work from home doing graphic design as well as teaching music lessons. I am located in College Park near downtown Orlando. I see myself as a facilitator - I will teach you the foundations of your chosen instrument and what you need to know I will be by your side to encourage and help you. But... you will put in most of the work! You get out of lessons what you put into them - for this reason I highly encourage daily practice! Even if it is just 5-10 minutes a day. Piano lessons will be held in my home in Orlando (college park). I do require a purchase of a piano book depending on your skill level (about $5-10 on amazon), and notebook in order for me to write down what to practice for the following week. If I am traveling to you, you will need to have a piano or keyboard available for lessons. Flute lessons will be held in my house in Orlando or online (via TakLessons Classroom, FaceTime, Google Hangouts, or Skype). You will need to have your own flute for lessons and practice. I will also have you purchase a fairly cheap lesson book on amazon (book will be depending on your skill level) and suggest having a notebook so I can write down what you need to practice for the following week. Ukulele lessons will be held in my house or online (via TakeLessons Classroom, FaceTime, Google Hangouts, or Skype). You will need to have your own instrument available for lessons and practice. I do require purchase of lesson books that you can get fairly cheap on amazon. I also suggest having a notebook in order for me to write down what to practice for the following week. I require 24 hours notice if you need to cancel a lesson (with the exception of illness). Otherwise, you will be charged the regular lesson fee. Some of my hobbies include writing/playing music, graphic design, traveling, hiking, camping, writing, painting, gardening. I love my cat, my husband, coffee, food, Netflix, relaxing at home, going on crazy adventures, the beach, the mountains, and tacos! usic? Will this be a hobby for you? Whatever your goals are, I am excited to know your story. Kevin is great very professional and patient, I really recommend him , my daughter enjoyed every class..
Kevin is very considerate and committed to his students. It's been a fantastic experience. The Ukulele is such a fun instrument. It can be a great first instrument for beginning musicians to learn to play because within a few short weeks they'll be able to play many of their favorite songs. I keep the students goals in mind when teaching. I first start by teaching common chord progressions to build a solid foundation to strengthen fingers. From there we learn basic musician skills like keeping time and strum patterns. After that, I look at which songs the student wants to learn and we work on the songs in our lessons. Perfect, helpful tips for my voice training. She’s nice and caring for her students. Hailey is an amazing music teacher to my children ages 9 years old and 7 years old! She is both challenging and patient. She is consistent and dependable. I only wish that there were more stars because she qualifies for all of them! I can't recommend her highly enough! Can't find a teacher in Ocoee, FL? "Lily was great! Very skilled and easy going!" Orlando, FL teacher: Lily L.
"My first lesson. Lily was very helpful on hiw to get started"
"Very good and helpful. Super nice. Learned a lot after one lesson." and encouraging. We highly recommend her." "Damien was great. He made me feel very comfortable. 100% recommend!" t and she is excited to learn." "Super friendly and very patient! I felt like I really knew more after one lesson. Can't wait for the next!" "Damien is an excellent teacher! I would recommend him 100%. He is very professional and enthusiastic about music. Overall a great experience."